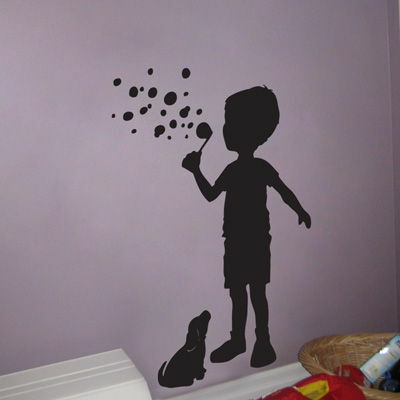 This wall decal of a little boy blowing bubbles with his puppy is so cute! Including his little dog, this wall decal measures 22" wide by 38" high. The bubbles may be placed however you like! Shown here in black, but available in all of our colors.